Adapted from the award-winning book, this play tells the story of Jim Jarvis, a poor boy living the harsh reality of life on the streets in the 19th Century. Jim Jarvis is all alone in London in the 1860s. Where can he turn for help? He has lost his family - all that's left is the workhouse. But Jim is a fighter and doesn't give up. This play offers a great way to support teaching of the social history of the time, as well as exploring the issue of homelessness. Jim Jarvis was a real person, whose plight inspired Dr. Barnardo to found his famous children's homes. 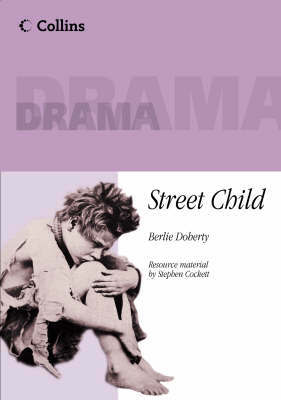 Street Child includes a large cast of male and female characters and can be used in the classrooom or in drama lessons. The resource materials offer ideas for staging the play, together with background information on poverty in the 19th century, homeless children, the workhouse and Dr Barnardo. A wealth of activities covering written, oral and drama work are provided.